It seems that March 2018 has seemingly been the month of leaks for a lot of smartphone companies. The company we are talking about right now is Huawei. 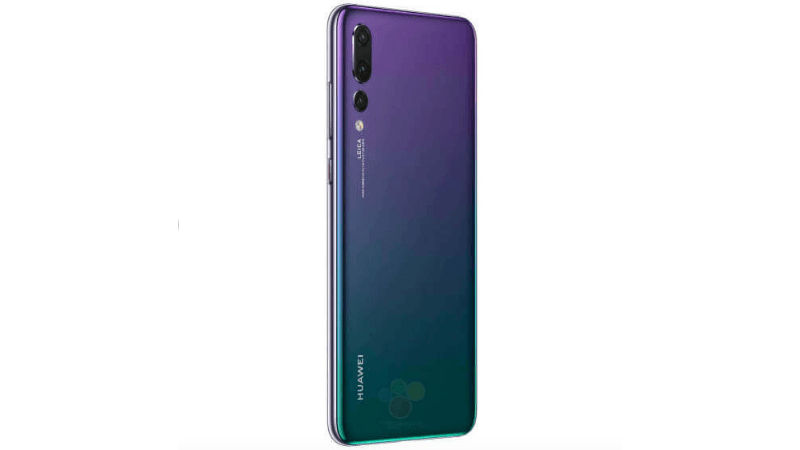 With just a day left for the launch of the Huawei P20 and the Huawei P20 Pro, reports of a specifications leak have surfaced recently. Lately, phones like OnePlus 6 have also been in headlines for going through a notorious incident of leak only some days ago. The leak is being expanded upon by the German retailer Saturn, and in the leak, apparently, the entire specifications of the hardware and software have been exposed right before the launch of the phone. The reports suggest that the Huawei P20 will come with a heavy focus on the camera. The camera setup of the phone is claimed to consist of two sensors, one RGB and the other one Monochrome. The primary sensor will be of 20MP while the secondary sensor will be of 12MP. The Huawei P20 Pro will go extravagant on the imaging front, with the phone surprisingly sporting three sensors on the rear, which will be 40MP, 20MP and 8MP. Among these three quality intensive sensors, the 40MP will serve as the primary shooter with the 10MP sensor aiding the primary sensor with telephoto addition. The third sensor with the 8MP setup will serve as the monochrome sensor like in the P20 and will help users shoot crystal clear monochrome images and will also contribute to the depth and details in low light conditions and is said to significantly improve imaging and shooting experience on the phone. The telephoto addition by the second lens is also going to help the phone in attaining a 3x optical zoom with 5x magnification which according to us is an impressive feat for any phone presently in the market. As for the display, the Huawei P20 will come with a 5.8-inch screen with 2240 x 1080 pixels resolution. The phone will be driven by the Kirin 970 processor which will run at 2.36GHz. Also, on the memory front, the phone will be packed with 4GB RAM and 128GB of internal storage. However, the memory will be expandable or not is yet to be seen. The battery on the phone seems to be pretty normal as the phone provides power with 3,340mAh battery. However, the phone will be surely equipped with Huawei’s SuperCharge technology which will help it charge pretty quickly. Also, the device will keep up to its time as Huawei ships the phone with EMUI 8.1 which will be built on Android Oreo. Since this leak was focused more on the specifications, the pricing of the smartphone has been left out. The German retailer Saturn also hasn’t come up with anything related to the price of the phone. However, other reports give us hints that the P20 is said to be priced around 679 Euro which turns out be approximately Rs 54,000 and the P20 Pro is said to be priced around 899 Euros which translates to roughly Rs 72,000. 72k for chinese fone which is not even water resistant! is 13999 xiaomi phone water resistant ? is mi mix 2s water resistant at 32000 ?